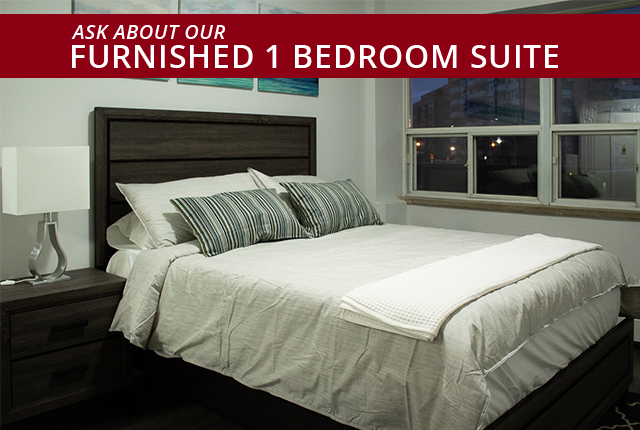 Ask us about our furnished suites. Located in Forest Hill, Chaplin Crescent Apartments is an 8 storey Toronto central apartment building which backs onto a park ravine with expertly landscaped grounds, beautifully appointed lobby and common areas, and professionally decorated hallways. These apartments for rent in Toronto area are located just steps away from shops, restaurants, schools, library and theatres with a Walk Score of 92 and Transit Score of 69. Public transit is right outside the building.